"Your guide, Mike, was the best guide I ever had!" "Your guide was great and extremely knowledgeable, enjoyable to be around, safe and well informed. We loved it! Your office was the most helpful during the scheduling and pre-arragements as well. I have to say both my experiences with MM have been great. Kilimanjaro was just as amazing and memorable. Guess that why we want to continue to work with your organization!" "I had a great time and it was indeed a lot of fun! Angela was a great guide. I felt like I quickly picked up where I left off last year, improved my technique a lot and climbed some excellent climbs." Imagine strapping on your crampons, taking your ice tools in hand, and climbing straight up a frozen waterfall. That's just the kind of adventure Mountain Madness has in mind for you during this winter’s ice climbing season. The alpine setting of the San Juan Mountains near the famed towns of Ouray and Telluride, Colorado offers world renowned ice climbing. 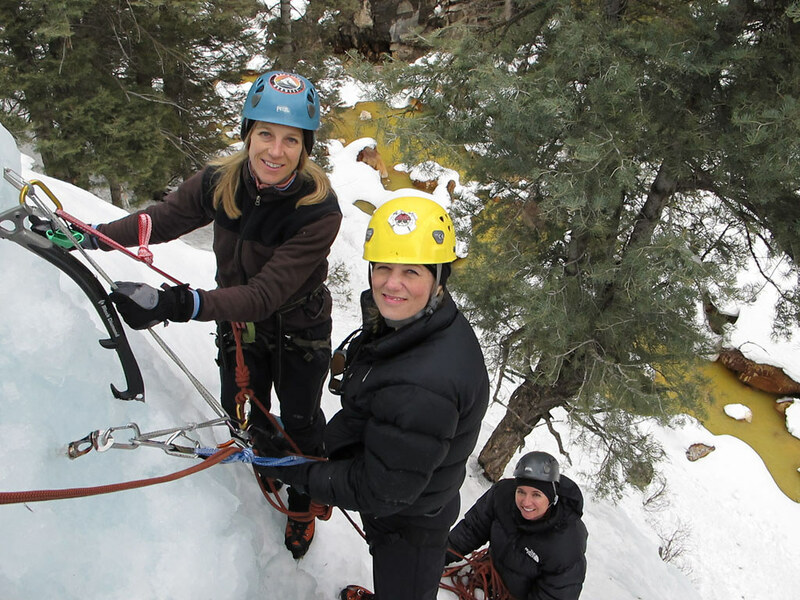 Combine the easy access and great ice of the Ouray Ice Park (host of the popular Ouray Ice Festival) and numerous backcountry ice climbing opportunities and you have an ideal winter climbing destination. In the evenings, climbers can enjoy fine dinning, a soak in the Ouray Hot Springs and the comforts of one of the area's many Bed-&-Breakfasts. 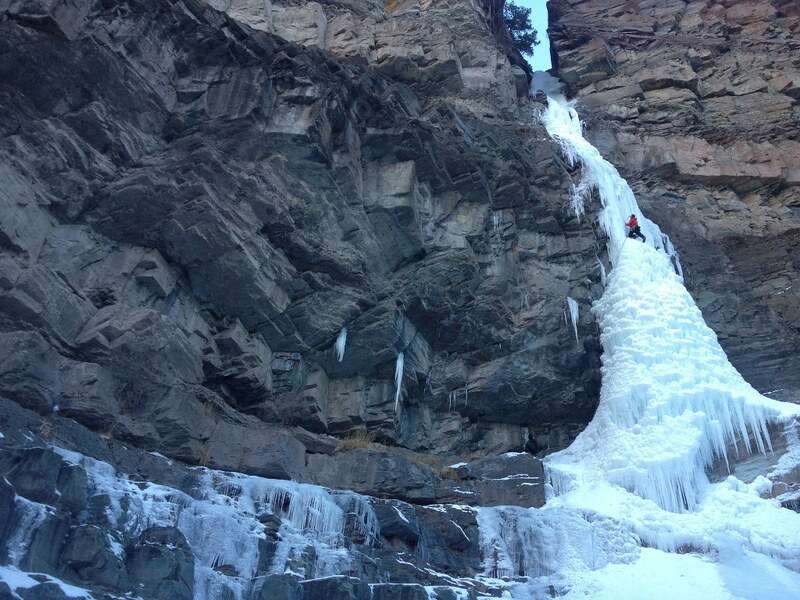 Our two-day seminar is taught in the Ouray Ice Park. 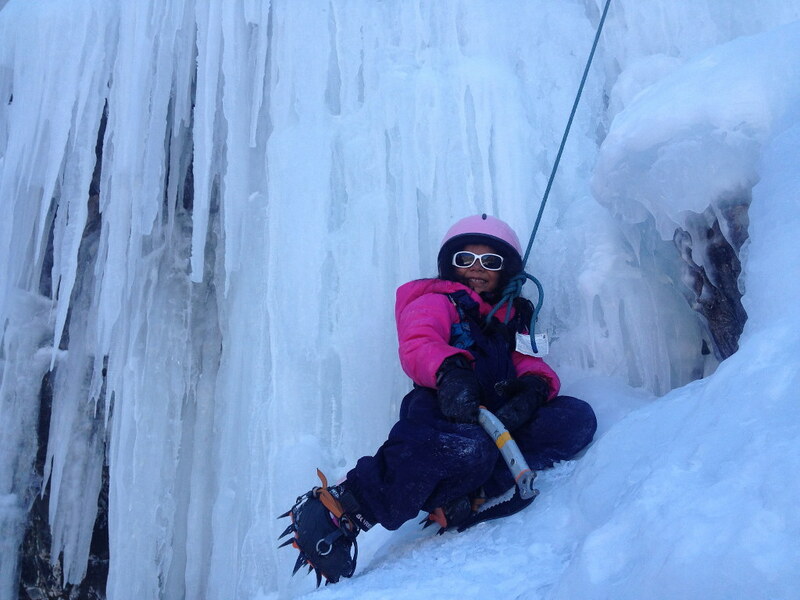 This course is for people with little or no experience on technical waterfall ice climbing. This course is an excellent option for people who aspire to improve their technical climbing skills for steeper snow or ice routes. 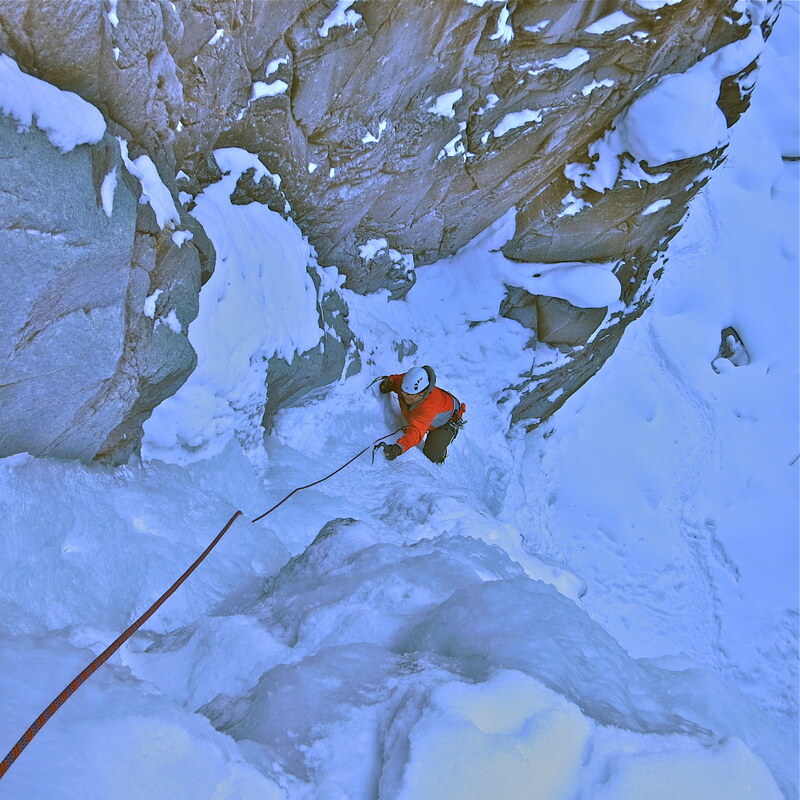 Discussions include proper clothing and ice climbing equipment for survival in an alpine setting, efficient, competent and self-dependent climbing techniques, and Leave No Trace ethics. QUALIFICATIONS: Students should know basic climbing skills such as belaying, rappelling and tie-in knots. 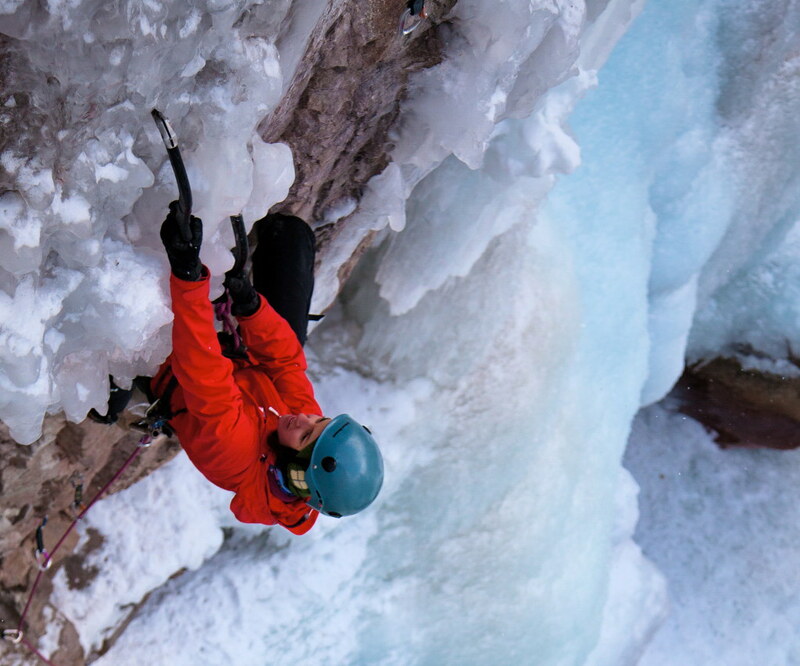 Learn how to lead technical waterfall ice climbing. This course teaches the techniques of multi-pitch ice climbing, placing ice protection, equalized anchor construction and more! 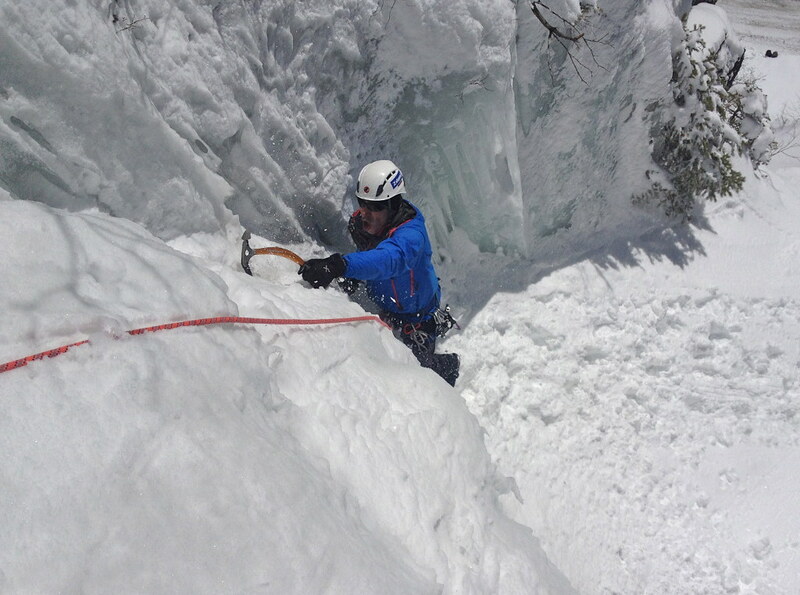 Our guides have been regularly competing in the famed Ouray Ice Festival held each January. Ouray has been at the forefront of mixed climbing in the U.S. and is an excellent training ground for this unique sport. Join one of our local guides and get a taste for some mixed action! Enjoy classic multi-pitch ice climbs in the Ouray and Telluride backcountry. Maximize your learning. Pick your own dates and routes! Ouray is located in the SW corner of the state of Colorado. The airport nearest Ouray is approximately 40 miles away in Montrose, Colorado. If you fly, plan on arriving the day before the course begins. Rental Cars are available at the Montrose airport. We will meet at your hotel at a pre-arranged time on day one of your trip. Ouray is a wonderful little town nestled in the heart of the San Juan Mountains or Colorado. Ouray offer access to an abundance of outdoor sports. For those interested in skiing, either before or after the course, it's a short drive to the ski slopes of Telluride Ski Resort. Two hours from Ouray there is brilliant desert rock climbing in the areas surrounding Moab, Utah. A 2-day desert rock climbing extension can round out your adventure! This equipment list is what you will need for your course or climb. Please Contact us with all of your equipment questions. See our suggested gear and attached links below.